Love is in the air and don't we all need a serious date night these days?! 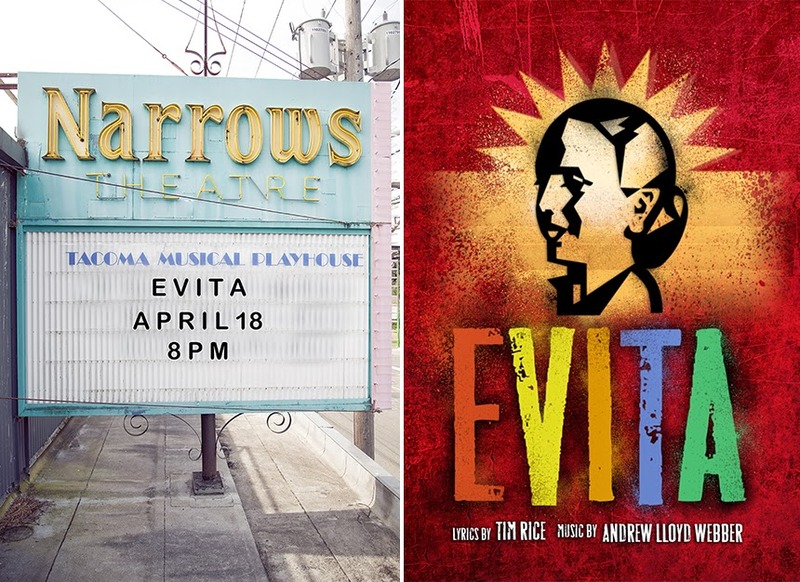 I'm excited to offer one local reader the chance to win a pair of tickets to see Evita on April 18th at 8 pm at the Tacoma Musical Playhouse. The tickets include two drinks from the lobby bar, woohoo! The TMP offers quality musical theater productions year round. From some of the great classics to musicals fresh from broadway. They are also the biggest community theater in the 4 state northwest region (Washington, Idaho, Oregon and Alaska), which is pretty awesome for Tacoma. A winner will be announced on Valentines Day, so hurry and enter! I would love to win! I'd probably take a girlfriend since my husband would not be very interested in musical theater. Boys.